The face-lifted 2018 Tata Tigor has been officially launched by Tata Motors at an effective price of INR 5.20 lakh for the petrol variant and INR 6.09 lakh for the diesel variant. 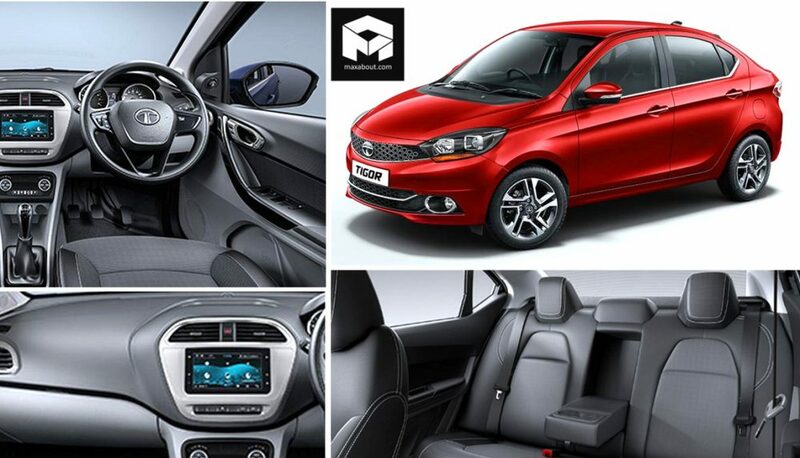 The compact sedan gets a hosts of cosmetic updates and feature additions that compliments its style and pricing well. The mechanical bits though remains unchanged. The revised Tata Tigor will be available in 5 variants – XE, XM, XZ, XZA and XZ+. The XZA variant is equipped with AMT gearbox and it is available only in petrol. In terms of design updates, the projector headlamps gets a new chrome finish while the tail lamps gets a clear lens treatment and a piano black shark-fin antenna. The 15-inch alloy wheels are offered in dual tone scheme while the front bumper, grille and door handle gets chrome highlights. The ORVMs have been equipped with new LED turn indicators. Coming to the cabin refinements, the new Tata Tigor Facelift gets a black and grey interior and upholstery with faux leather seat cushions, soft knitted roof liner, driver’s side seat-height adjust for the top specs and gets an additional fully automatic temperature control (FATC) system. One of the most noticeable addition is a 7-inch touchscreen infotainment system Android Auto compatibility by Harman which is only available for the top-spec XZ+ trim and can also be converted as a reverse camera display. Powering the Tata Tigor facelift is the same 1.2-litre Revotron petrol engine capable of producing a power of 84 bhp at 6000 rpm and a torque of 114 Nm at 3500 rpm while the diesel engine is powered by a 1.05-litre Revotorq churning out a maximum power of 69 bhp at 4000 rpm and a torque of 140 Nm at 1800-3000 rpm. The engine is mated to a 5-speed manual or automatic AMT gearbox. You can avail the face-lifted 2018 Tata Tigor in 6 color shades- Egyptian Blue, Roman Silver, Espresso Brown, Berry Red, Pearlescent White and Titanium Grey. 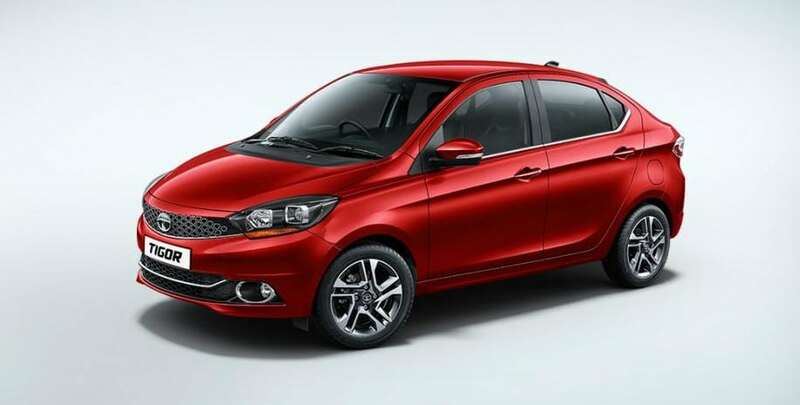 The newly launched Tata Tigor compact sedan will compete with the likes of Ford Aspire, Maruti Suzuki Dzire, Honda Amaze, Volkswagen Ameo and Hyundai Xcent in the Indian market.